With the abundance of art and culture in in Greensburg, the first ever Greensburg ArtsWalk is sure to be a great success. From live chalk drawing from Erik Greenawalt at the Museum Loading Dock from 11-5 to live music at the Museum, DV8 Espresso Bar and Gallery, City Hall and in the Art in the Alley, to plenty of art and happenings throughout downtown Greensburg, it will be a busy art filled day! 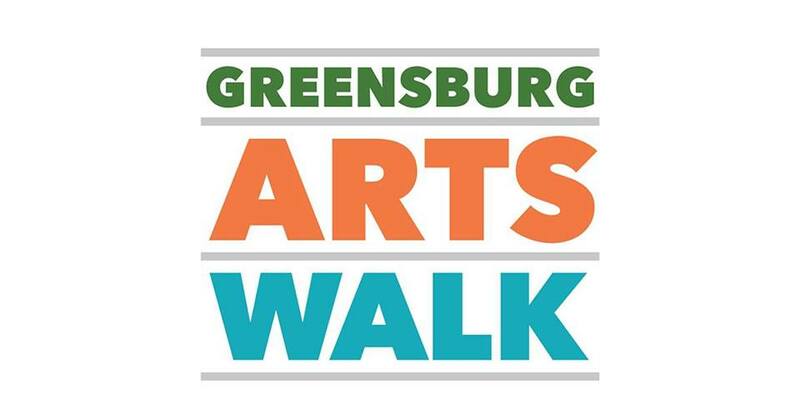 The Greensburg ArtsWalk is a self-guided event showcasing local, regional and national artists at each stop, including the Westmoreland Cultural Trust’s Incubator for the Arts, Seton Hill University’s galleries and Art Yard, DV8 Espresso Bar and Gallery and more! You will be able to stroll through downtown Greensburg at your own pace, meet some of the artists and discover multiple art ‘happenings’ all day. Make sure to use #GbgArtsWalk on all of your social media posts throughout the day! 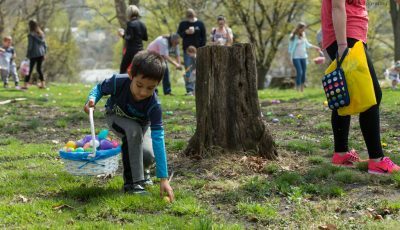 Start out at one of the information stations, The Westmoreland Museum of American Art front desk or the tent set up at the Courthouse Square, to pick up a map and plan your day. 11am – 5pm: Watch Erik Greenawalt (aka the Chalking Dad) complete a chalk art reproduction of George Washington. 3:30 pm: Phat Man Dee and Liz Berlin perform a rock/jazz concert featuring songs from their upcoming release, Social Justice Disco! 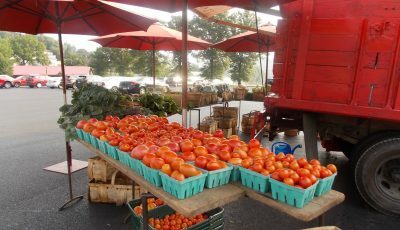 Sandwitchcraft Food Truck and Kona Ice of Westmoreland will be stationed outside of the Museum’s North entrance on Academy Hill Place. 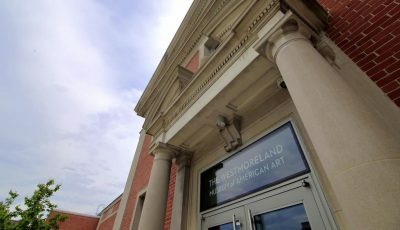 The Westmoreland offers FREE admission for visitors to explore Emigration-Immigration-Migration: Five Photographic Perspectives, Tell Us Your Immigration Story, the permanent collection galleries and the Center for Creative Connections. In addition, the Museum organized these six Happenings inspired by the artworks featured at four Art Happens locations throughout downtown. Note: In case of rain, all Happenings will take place in the Museum. 11am – 4pm: The Westmoreland’s Education Department and teachers from local school districts invite participants to make puppets and join in spontaneous puppet parades throughout the day. 11am-5pm: See student work in progress, 3D printing, senior art exhibitions and talk to students about their artwork at Open Studios. 8am-1pm: Get in a workout before an awesome day of art with free community access to Les Mills Classes at the Y. Plus, your waived joiner’s fee will be waived when you sign up for a membership on April 14 (a $100 value). 11:30 am and 12:30 pm: Dancers from FitnessEnvi, led by Aubrey Worek, perform a site-specific dance piece titled “7 Inches from the Midday Sun”. 2pm: Local rock funk band Kaelber invokes Sun Bath Tat’s mid-century vibe with a set featuring classic 1960s rock and original songs. Greensburg acrylic painter Maggie Nemetz will display her work in the main gallery with an exhibition titled Quotidian Life. In the espresso bar, local artists exhibiting work will include landscapes by Sandy Mears; mixed media by Benjamin Kokoska; photography by Charles Dangelo, Alex Concannon and Kimberly Rentier; pen & ink works by Susan Hoak; and pottery by Francis DeFabo and Mary Briggs. 1pm: The Westmoreland Symphony Orchestra String Quartet plays patriotic and easy listening favorites, such as Sweet Clementine and Yankee Doodle Dandy. Serenity Bead Shop – Main St.
Local jewelry artist ‘Anita Kozinko’ will be instructing students in an intensive bead embroidery project as well as displaying some of her stunning published pieces. Artwork by talented mixed media artist and instructor ‘Barb Cherwaty’ will be exhibited. Mister Panda will be strolling through the Greensburg ArtsWalk tomorrow taking photos with his fans. From time to time, he will stop at Sheila Cuellar Shaffer’s Studio at 102 North Main Street, Suite 222 (second floor) to sign autographs.